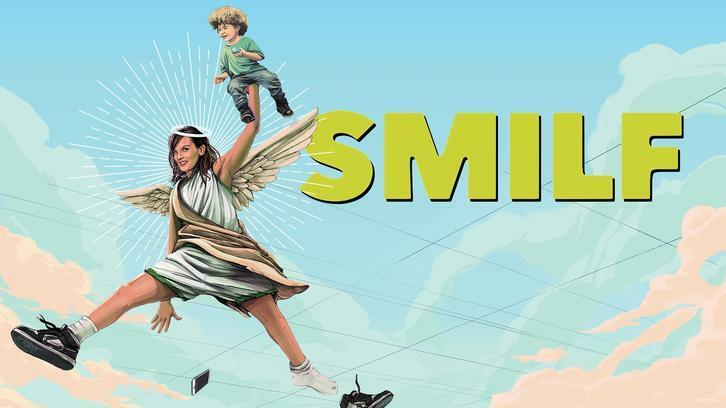 Not for the first time while watching a SMILF episode, was I left wondering if I was watching the right show and hadn't somehow stumbled into a parallel universe. Usually though, this only lasts a second, or, if I'm really confused, brings me to pause the episode and check. This time however, I did not check once, not twice, but three times. For once, Surrogate Mothers Inspire Loving Families lends the spotlight to other characters, and Bridgette barely appears in the episode. It's definitely an interesting narrative choice for a show in its second season, and feels refreshing. After Rafi brings Bridgette home from her date with tattoo artist guy the virgin Mary, they relieve the quasi-stranger babysitters from last episode. Flashback to a few hours earlier, these two are actually roommates, with Elsie working for Ally and them planning on going to a concert for Mindy's birthday. We then switch to Ida's perspective. Ida, who we've seen before, is Ally's housekeeper/nanny/coach/personal helper/you mention it, she does it. You name it, she does it. It's Ally's birthday, and in true Ally fashion, she acts like it's no big deal, but you know it is a big deal. Like when the day doesn't go as planned, or some unforeseen snafu threatens to ruin a day where you can feel quite vulnerable and you go all "and on my BIRTHDAY, of ALL DAYS!" (cue Lesley Gore's It's my party and I'll cry if I want to and some desperate cake eating). Seriously though, her parenting skills leave something to desire. I'm not sure telling your teenage daughter you won't have sugar either today "just like her" is as caring as she thinks it is. That said, I wish my mom would avoid buying stuff that tempts me when I'm dieting, so there's that. And she is more selfless than I am since there's no way in hell I'd skip sugar on my birthday. If there's one cheat day...well, it has to be your birthday. And Christmas. And Easter. And any occasion really. (I may have tracked down the problem). While we're on the subject, does that rolling pin as a stomach-roll-flattener thing actually work? Because if so, I've been living my life wrong by using tights when I really want a flat stomach in some kind of tight dress. Do I actually own a rolling pin? Well, no, because I don't bake. But I'm sure I could find a replacement. Like a big spoon or something. Anyway, Chloe seems closer to Ida than Ally, which isn't surprising but still kind of sad. Our second slice of Ally's life involves Mindy, who is replacing her Hermes salesgirl friend (hm) when Ally comes in. Before Gilmore Girls and the "A Birkin Bag! A Birkin Bag for Rory!" episode, I'd honestly never heard of them. Which is a shame since I do love a nice handbag and this model was made exclusively for Jane Birkin, a staple of French pop culture. Unlike Ally and Logan Huntzberger I do not, however, spend tens of thousands of dollars on one handbag, so this may explain why I wasn't familiar with it. Before that, Ally runs into a (sort of) friend at the stables where she goes riding, and not only does the friend own the coveted Birkin bag, but she kind of blows Ally off when she suggests going riding together. It seems strange to bring such an expensive item to go riding (or wear a dress to a stable?) so either that lady just pretends or she has an interchangeable collection of 50K bags. Either way, I want her life, thank you. Afterwards, Ally ends up in the Hermes store, in a treat yourself mood. And really, when best to treat yourself than on your birthday. Mindy, replacing her friend, is very enthusiastic and suggests "a cardigan to match your hair". Two things: first of all, that's a thing?! I'll often match my earrings to my top, or make sure my heels work with my ensemble but hair-matching? OK, new level of fashion discoveries on the way. Secondly, well, we know Tami Taylor Connie Britton's hair is legendary, so I'm not surprised there would be cardigans made with it in mind. Maybe she'll even get a Britton Bag one day. One can only hope. Alas, the coveted Britton Birkin bag is still not available, but Ally and Mindy bond over the fact that it's both their birthdays. The bonding is interrupted by one of Ally's kids getting sick at school, and her suggesting they go home and snuggle in front of the TV. Which the kid has the audacity to say no to, who does that?! Dude, I wanna watch TV snuggled up in a comforter even when I'm not sick, pick your battles! The last segment focuses on Elsie, who not only retrieves the missing riding boots, but gains a fridge (at least temporarily). You see, in Ally's life, a fridge's life expectancy only lasts as long as it doesn't clash with the decor and since the kitchen was redone, the fridge needs to go. It doesn't, however, find a home at Elsie's place, but ends up being an exchange for a new hair do. Elsie and Mindy end up missing the concert since they're babysitting Larry (neither of whom have ever met the kid but let's be real, they're probably way more capable than Bridgette of taking care of him). All in all, a strange but not unwelcome episode. I'd watch a show about Ally's housekeepers' lives, with Ally intermittently appearing and being a (fancy) mess, but a mess nonetheless. What did you all think of the change of pace? What would you be willing to part with in exchange for a good haircut/do? Tune back in next week, and in the meantime "A tard plus, je suis riding lesson!" (probably my favorite quote from this show, ever).